书籍简介: The most effective way to prepare for the new SAT is here! 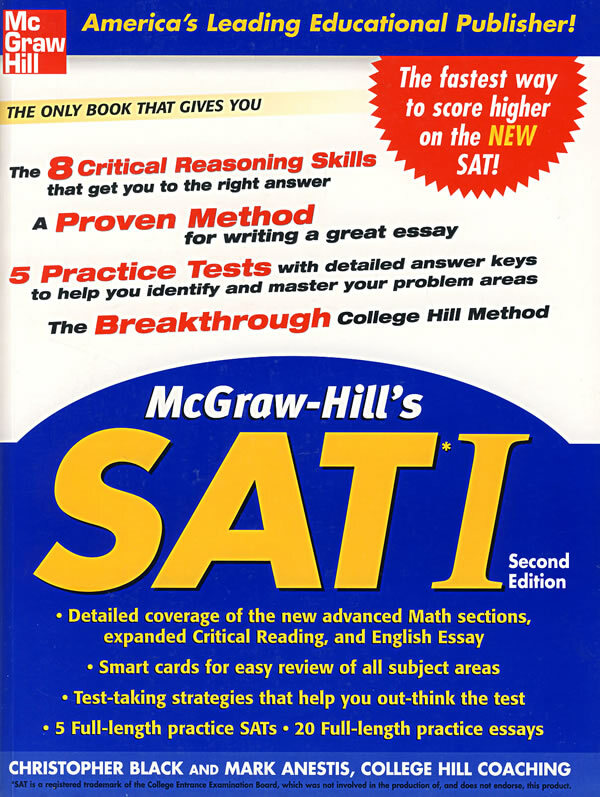 McGraw-Hill's SAT I is the only guide based on developing your reasoning abilities―the very skills the SAT is designed to measure―so you can out-think the test and find the right answers. Revised to include the latest changes to the SAT I after its launch in March 2005, this powerhouse preparation guide has the most complete guidance available for this exam. It helps you master eight essential thinking skills, allowing you to approach any problem from any angle, and solve it quicker and easier, even if it’s a question type you haven’t seen before. You get an in-depth look at all the changes to the SAT―including comprehensive coverage of Algebra II, critical reading, and the English Essay―as well as valuable time- and stress-management skills to help you stay focused, calm, and confident. And, this revised edition includes new sentence completions, Long Reading Questions, Short Reading questions, and Improving Sentence Questions. Christopher Black M.A. Ed. is the founder and director of College Hill Coaching and the creator of the College Hill Method for developing reasoning skills. He has been a consultant to some of the nation’s leading educational publishers and software developers.Mark Anestis is a tutor and the author of McGraw-Hill’s 5 Steps to a 5 on the AP Biology Exam. College Hill Coaching provides high-quality academic tutoring and standardized test preparation and is one of the foremost providers of individual tutoring services in the United States.